It’s a useful and welcome antidote to the gloom-and-doom “Law school is a total scam and no one should ever go” attitude that is prevalent these days. That being said, I am a little concerned that the book’s TOO optimistic! Ann found some pretty happy lawyers to talk with (and I’m not convinced they’re entirely representative!). By and large, I think The Law School Decision Game will be very useful for prospective law students. How to build your career while still in law school. That’s a big promise, but The Law School Decision Game actually fulfills it. Rather than just pontificating from her own experience, Ann surveyed or interviewed more than 300 attorneys about their career choices and experiences. As a former sociology major, I’m not going to opine on any statistical validity issues, but there’s no doubt that this collection of different voices dramatically enhances the book. On topics ranging from how many hours they billed last year, to how satisfied they are with their salaries and careers, to how they feel about the costs of law school in retrospect, it’s fascinating to hear such a broad cross-section of responses. It’s also interesting to compare the responses of attorneys with the responses of aspiring law students (Ann surveyed 100 prelaws, as well), to see where there’s a disconnect between veteran attorneys and those entering the profession. My favorite part of this book is the no-nonsense advice about what questions you need to be asking (and answering) before making a law school deposit. Ann doesn’t pull any punches – she willing admits that reading The Law School Decision game might talk you out of going to law school! Call me crazy, but I don’t think that’s a bad thing. Part II of the book — Is Law School Right for You? — dives into the nitty-gritty details of the legal profession. How much do lawyers make? How much do they work? What do they think about how their lives have turned out? The surveys and interviews are particularly interesting here, and you’ll find out what single factor practicing lawyers thought was most important in selecting a school. Hint, it wasn’t rankings. Or location. Or prestige. Part III explores career options, from solo practice, to BigLaw, to all sorts of alternative careers. It’s also got great info on the business of law, and the skills students need to develop to practice successfully in the modern legal world. Unless you grew up surrounded by lawyers, this section is going to be eye-opening, and will give you a better sense of what options are out there. Conveniently, it’s also quite interesting and entertaining to read! The people who were really smart chose their activities according to which would enable them to encounter practicing lawyers. Sounds obvious, but I’d never thought about it in exactly that way before. As I mentioned in the beginning, I found The Law School Decision Game a little too optimistic. Maybe I’m just a big curmudgeon, but I think there are some pretty serious structural issues in the profession (particularly for women), which make law a challenging career path. Ann certainly doesn’t sugar-coat things, but her naturally sunny disposition might convince you to overlook some potential downsides of the profession. 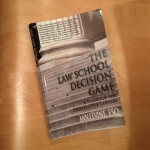 Regardless, I highly recommend you get a copy of The Law School Decision Game, read it, and decide for yourself. I’m certain you’ll learn something useful, and find it an entertaining read. 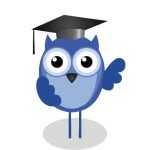 Have you read The Law School Decision Game? Share your thoughts in the comments!